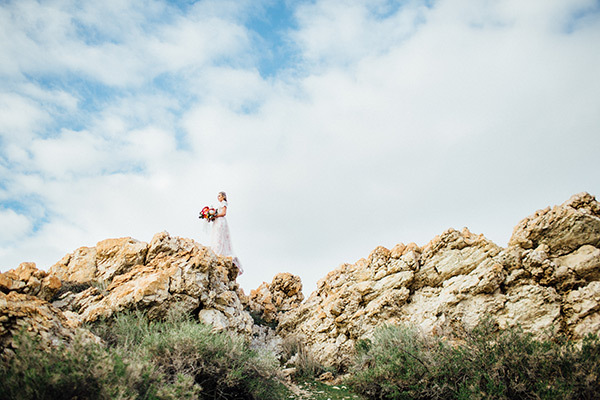 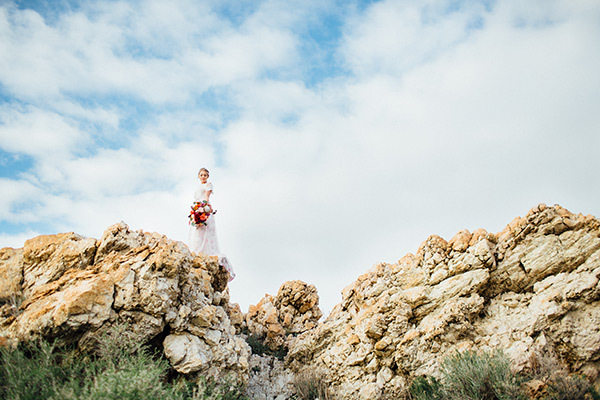 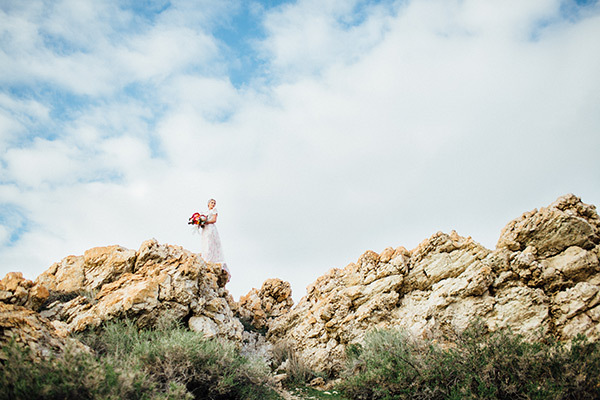 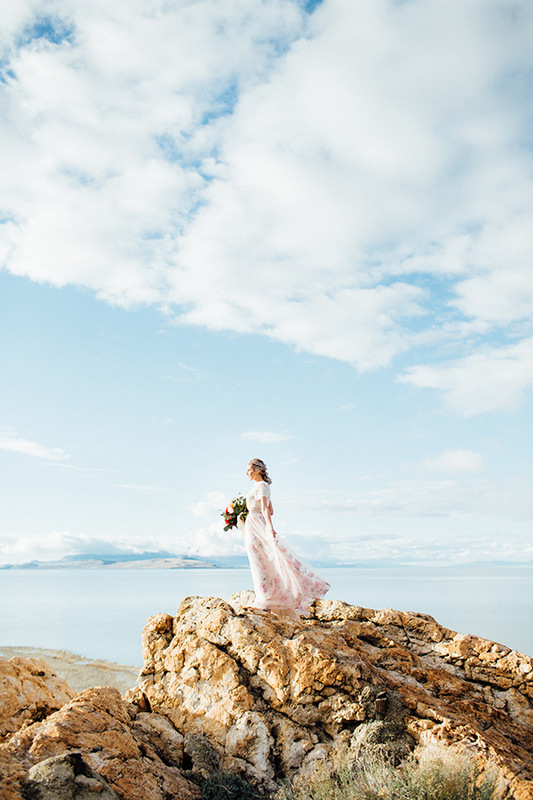 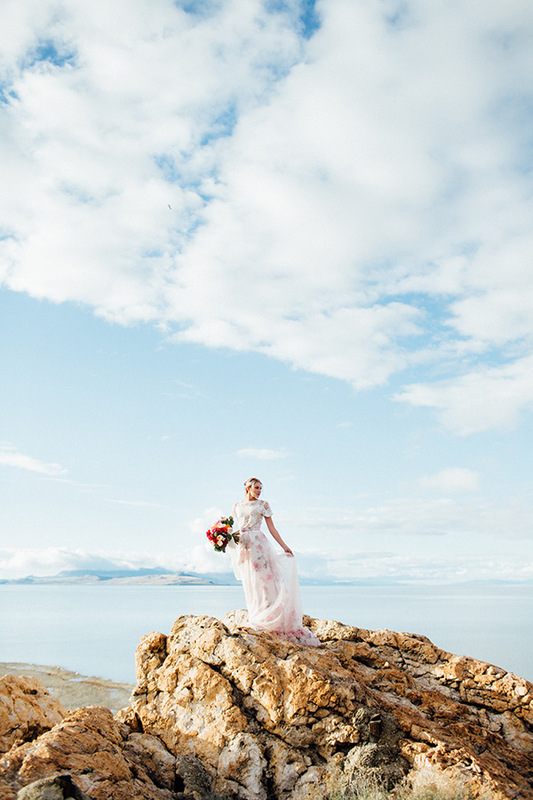 The sky, these rocks, those colors — it’s like another world. 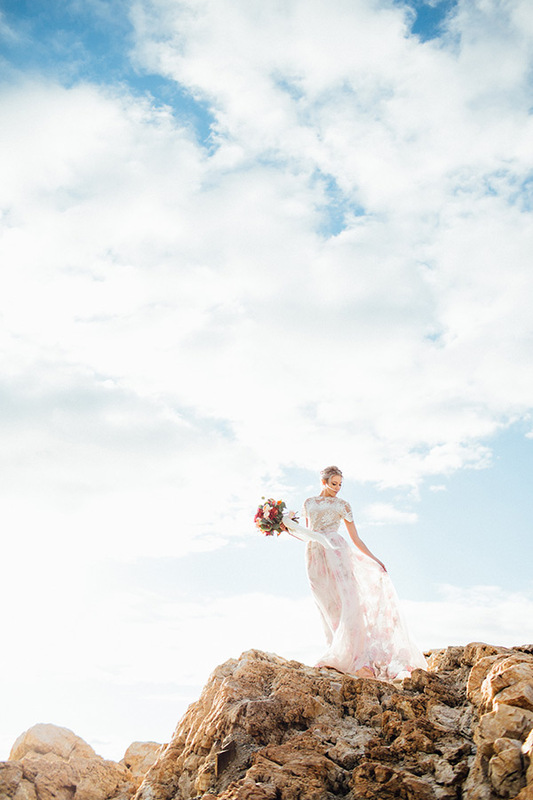 We can’t stop staring — or scrolling — through these magical images in a magical place. 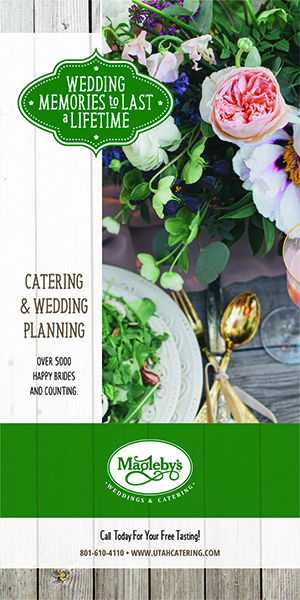 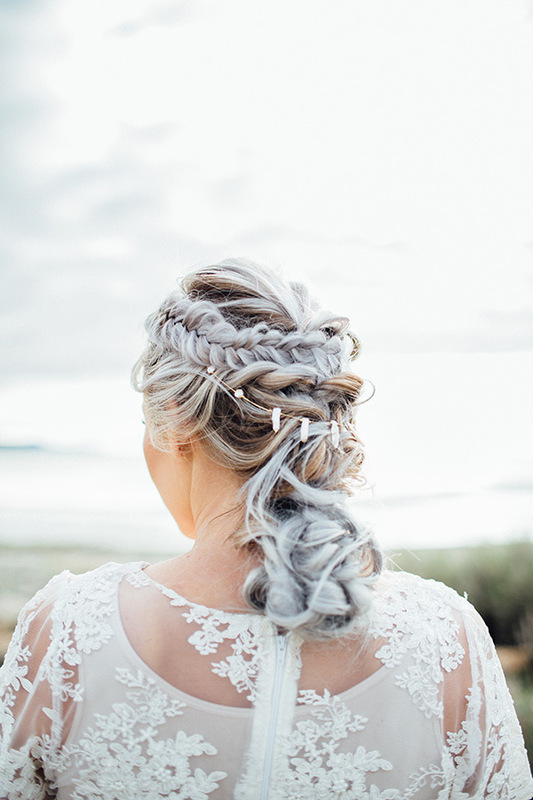 And the details are delightful. 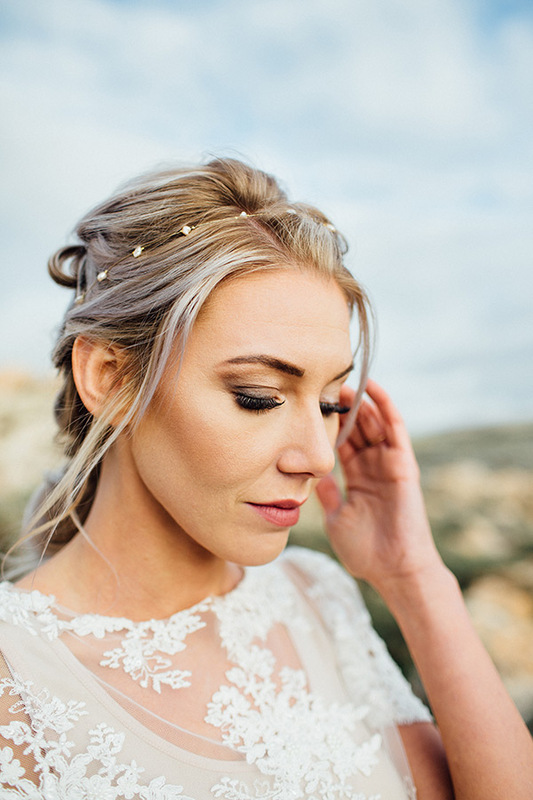 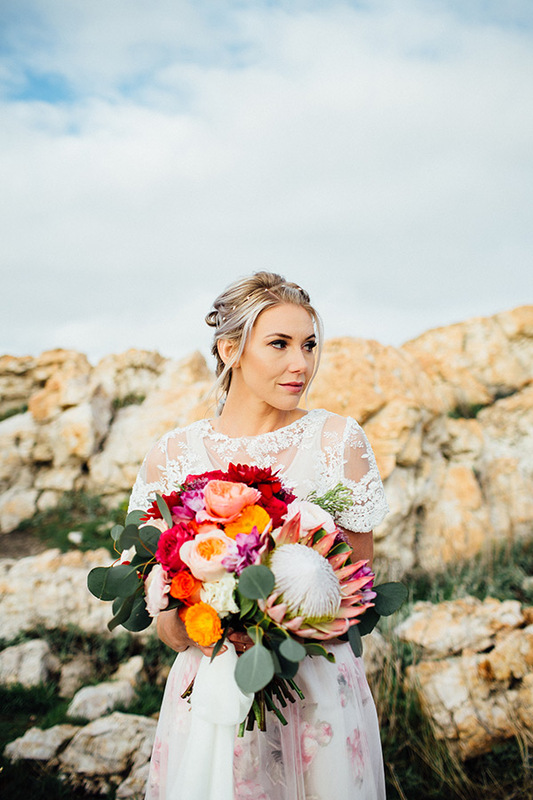 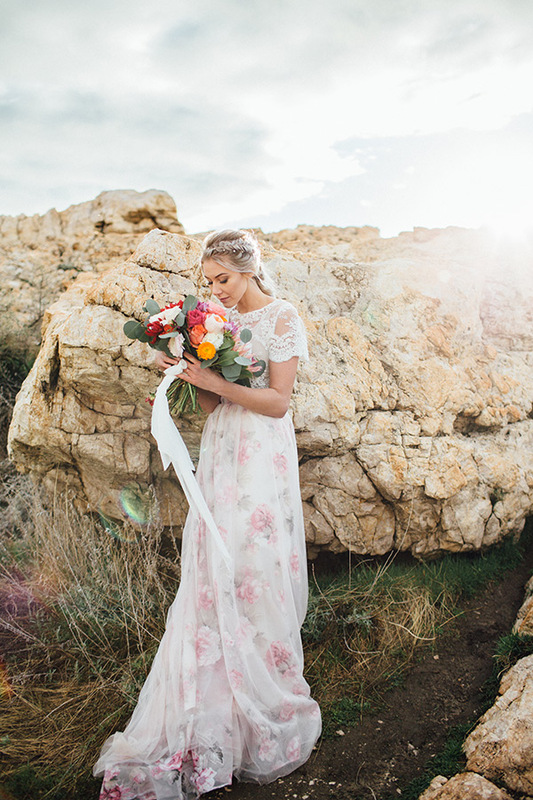 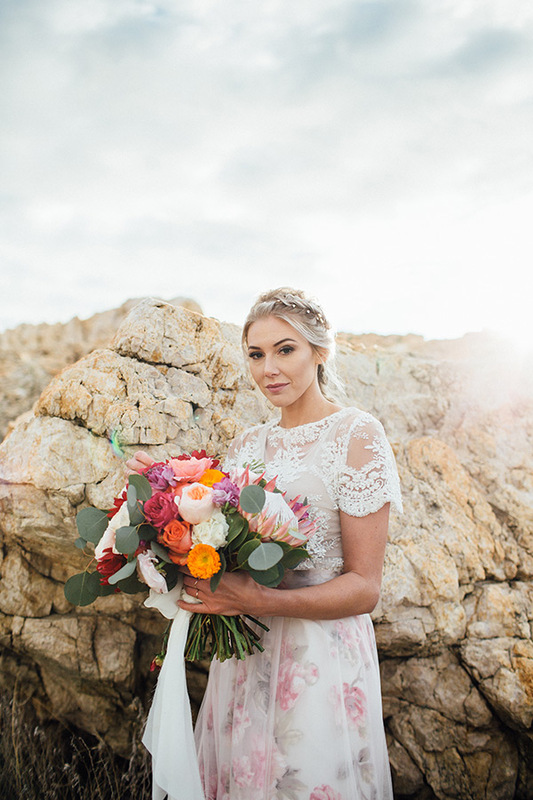 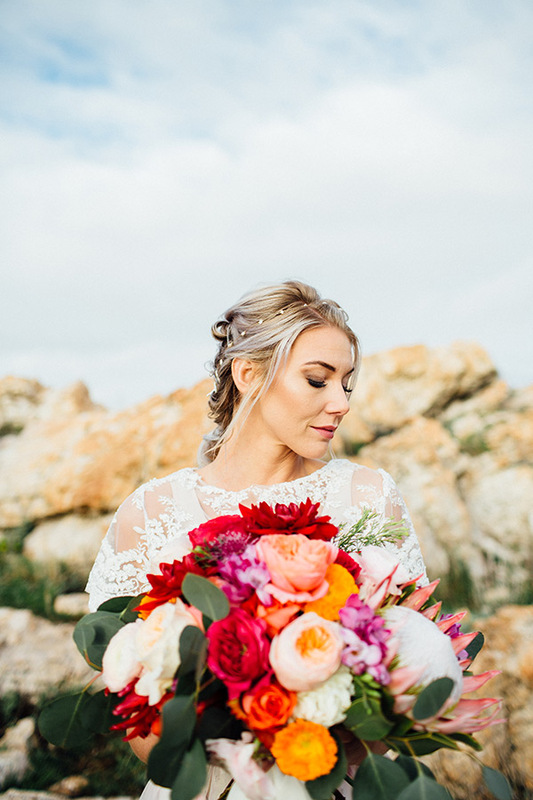 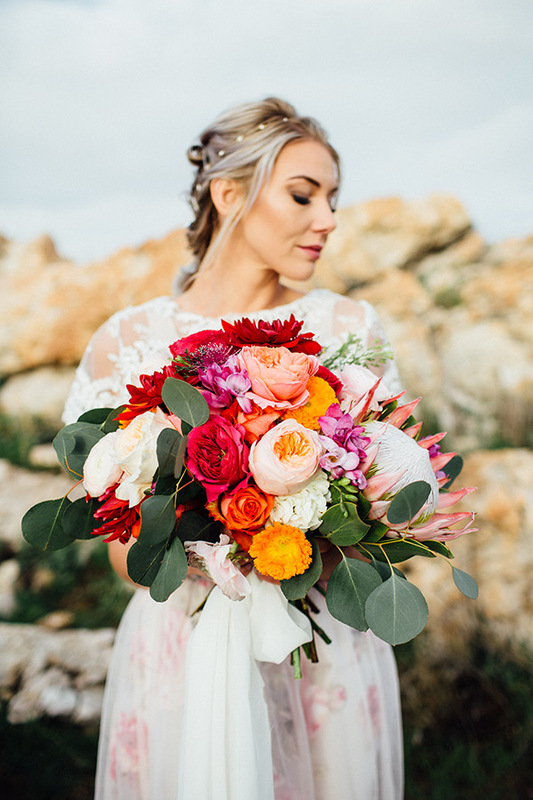 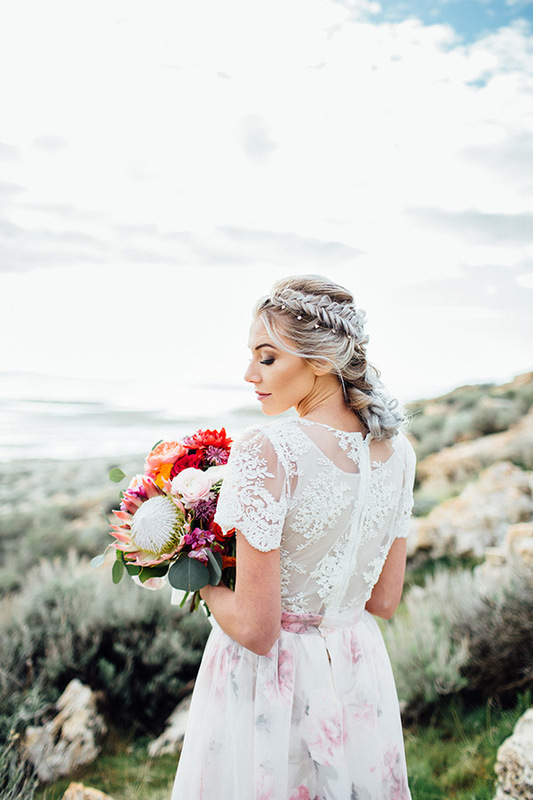 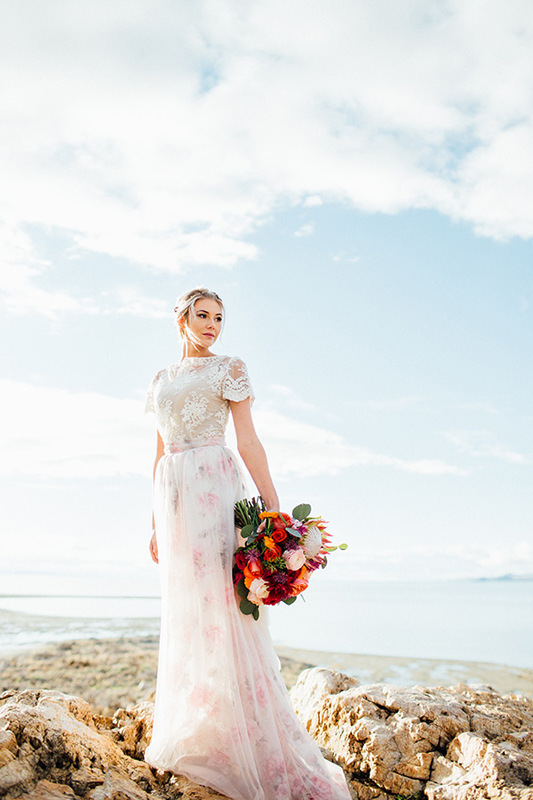 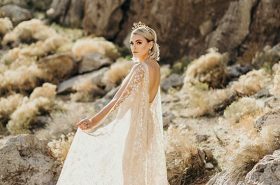 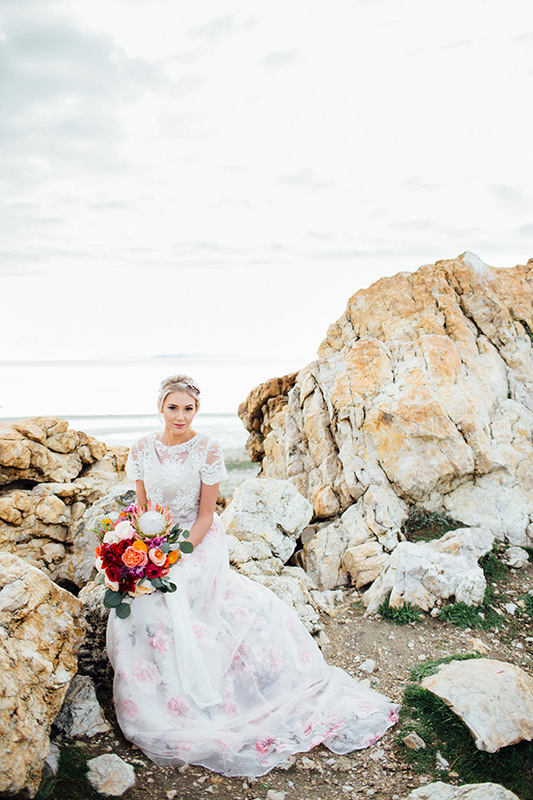 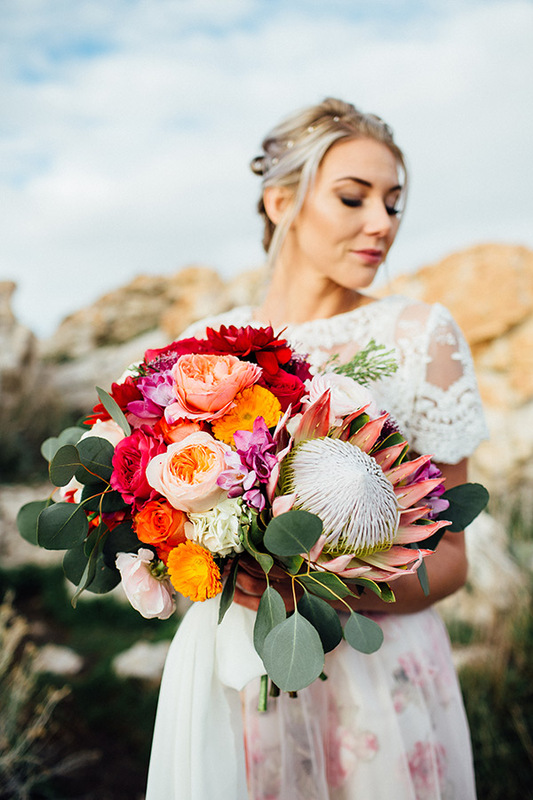 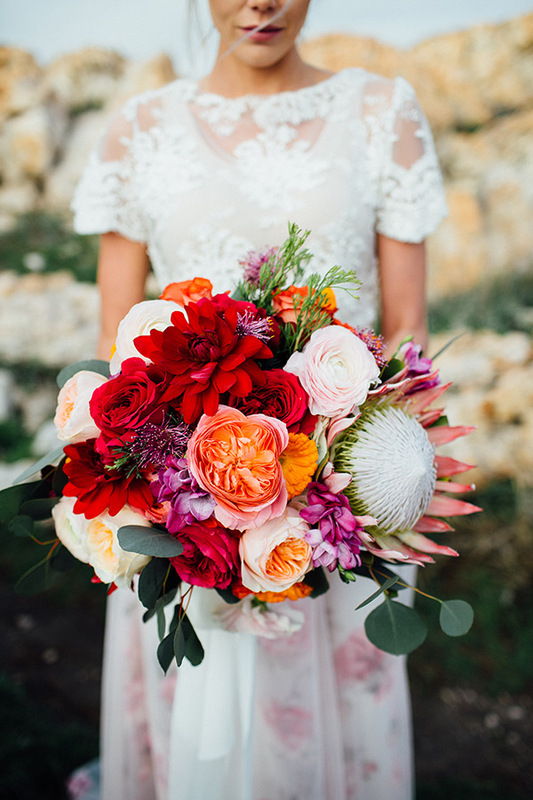 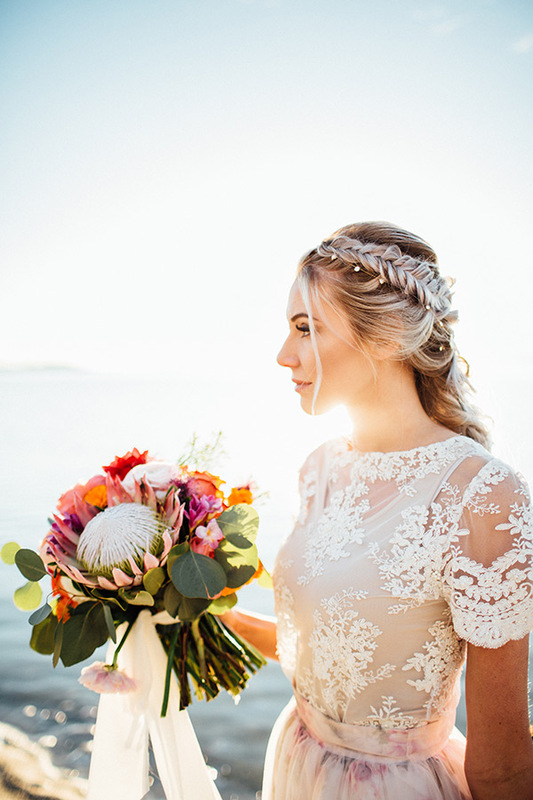 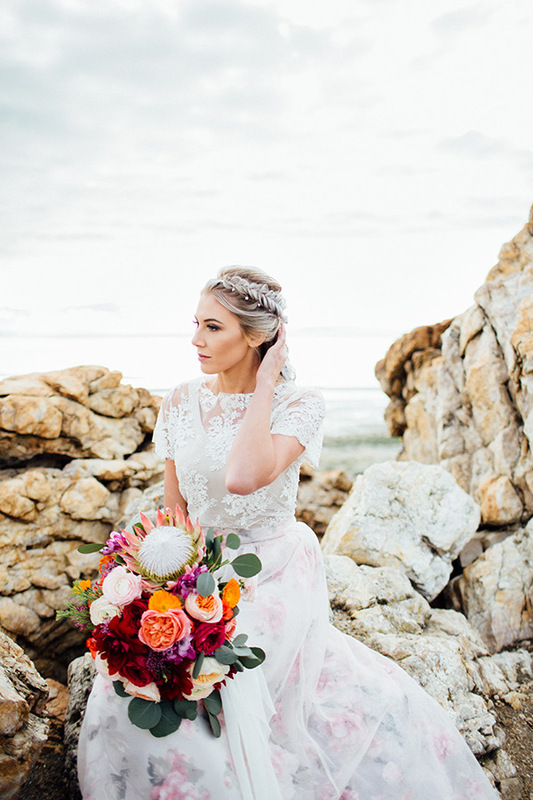 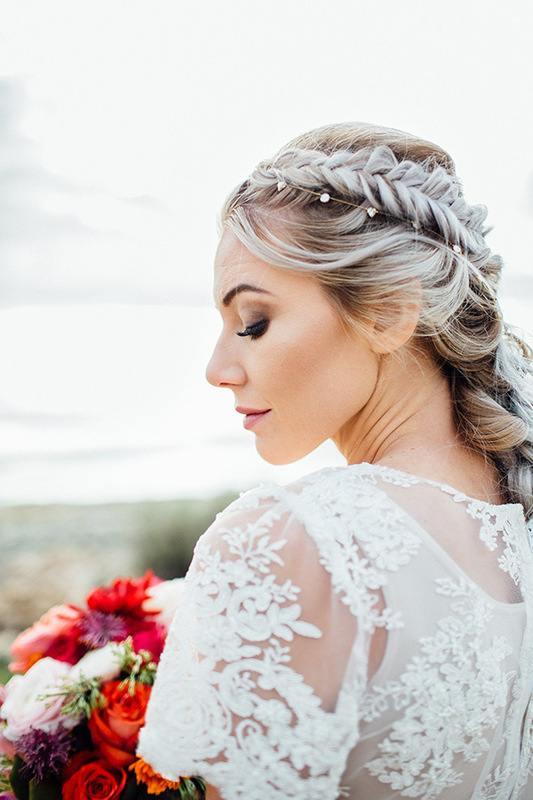 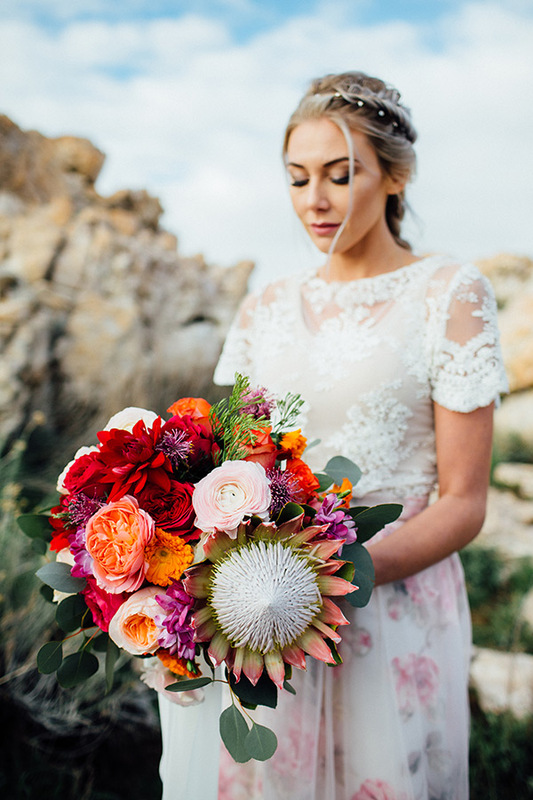 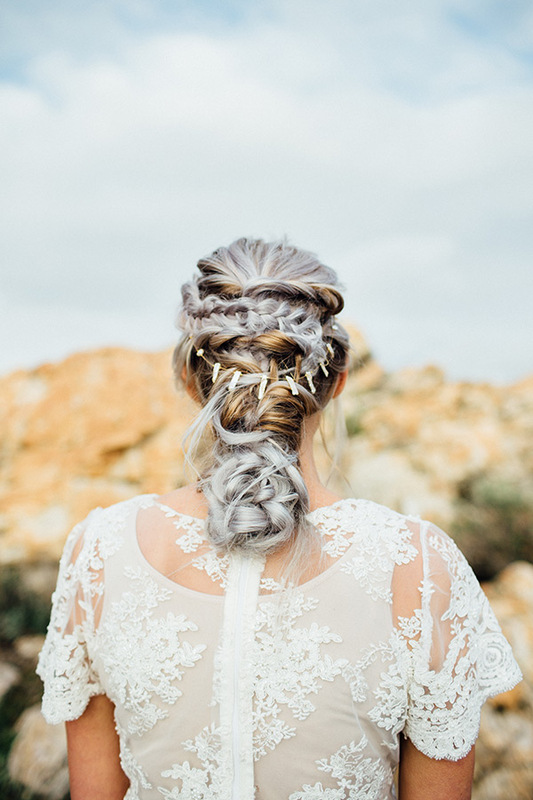 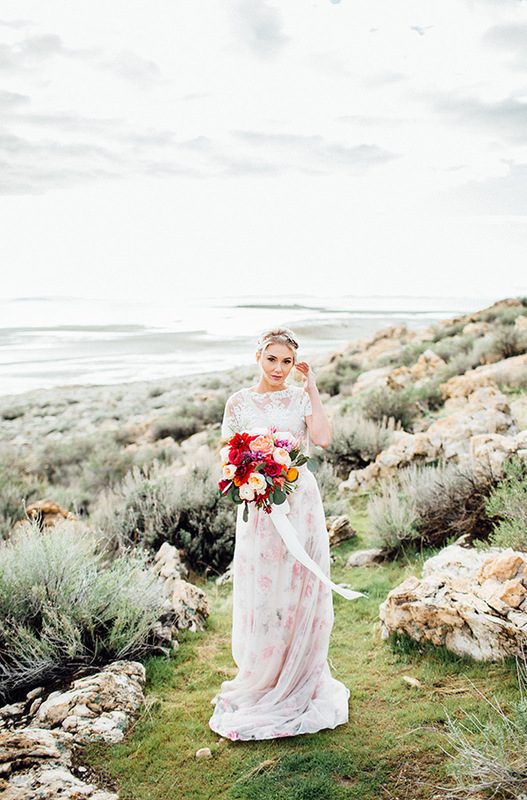 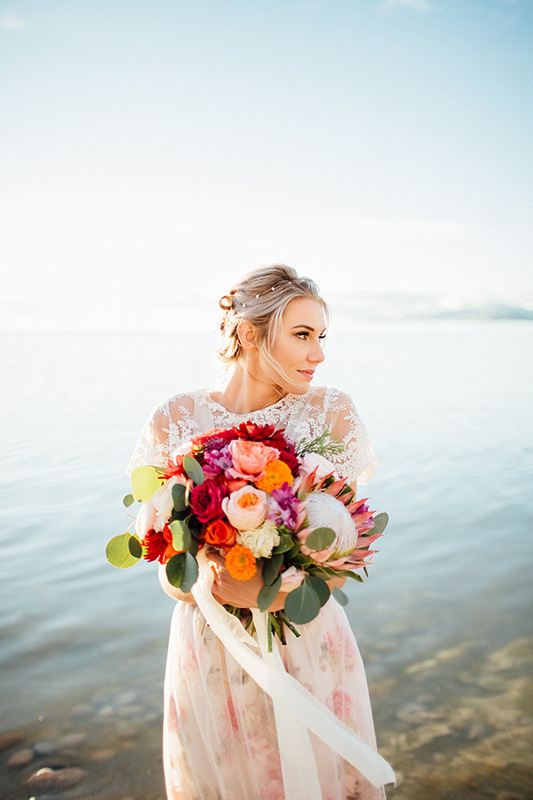 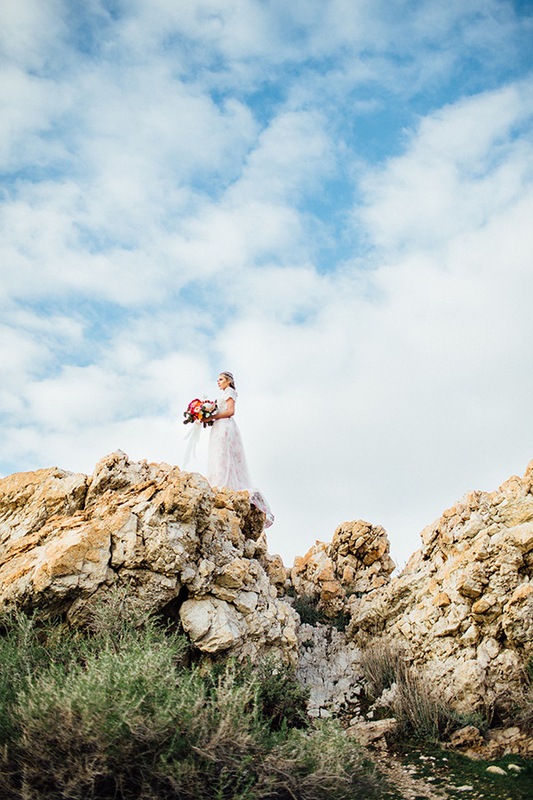 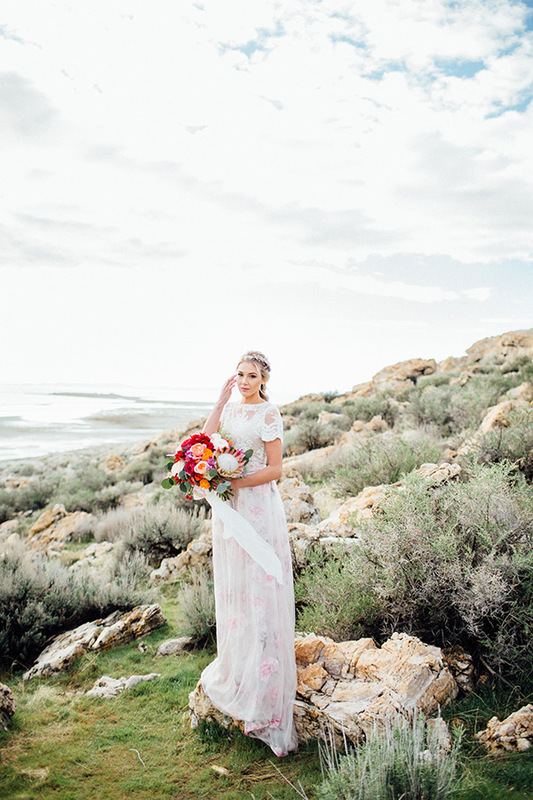 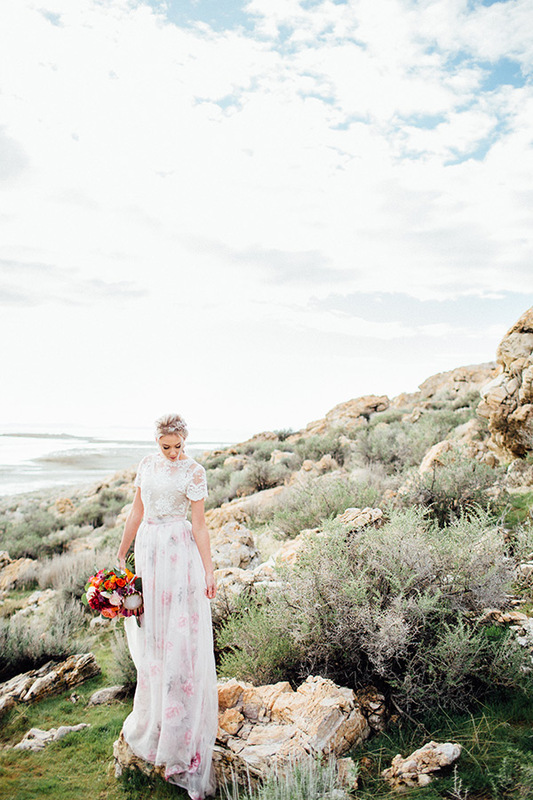 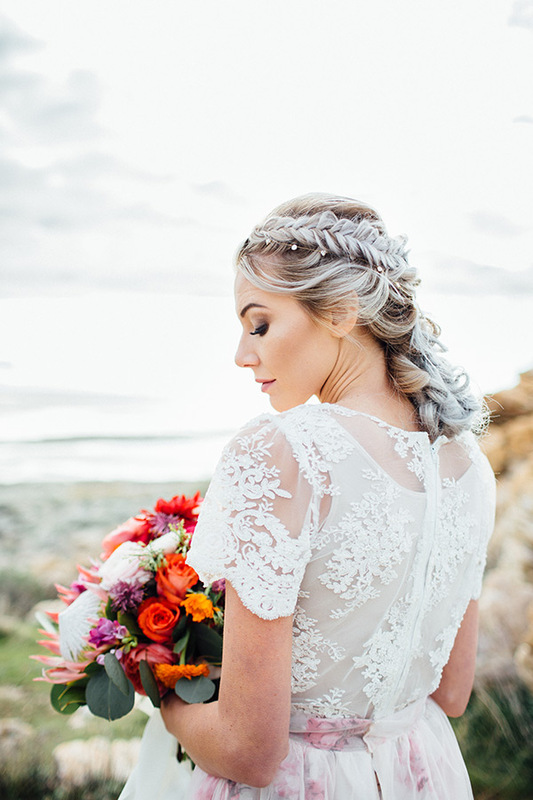 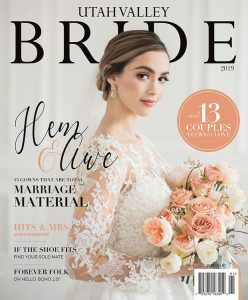 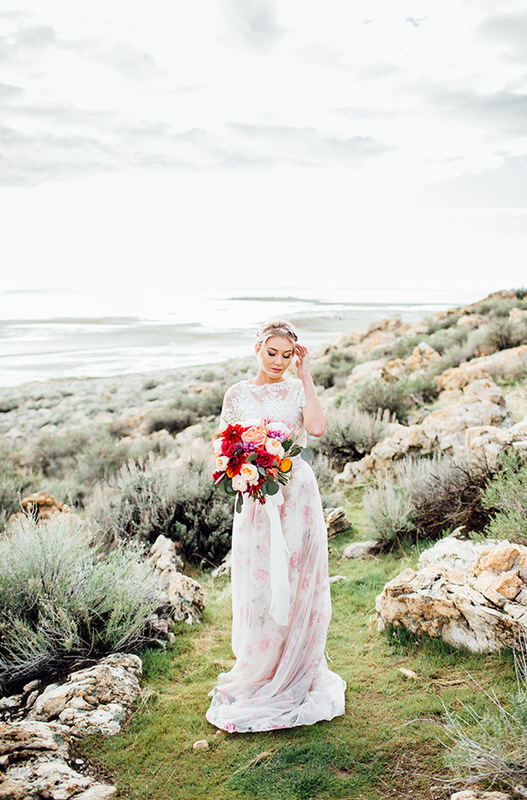 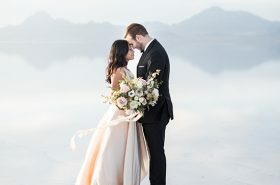 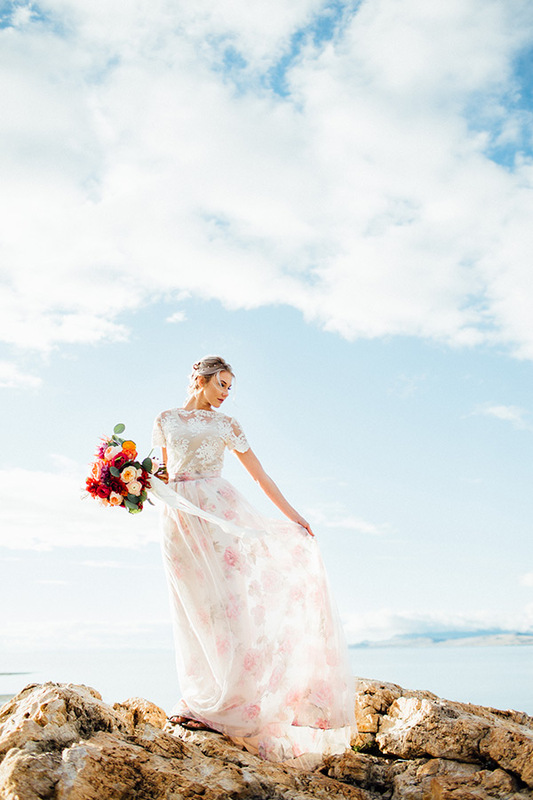 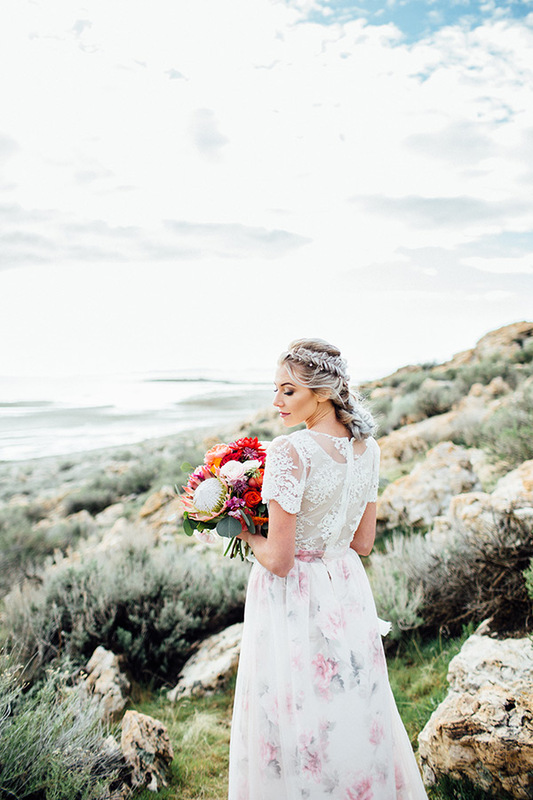 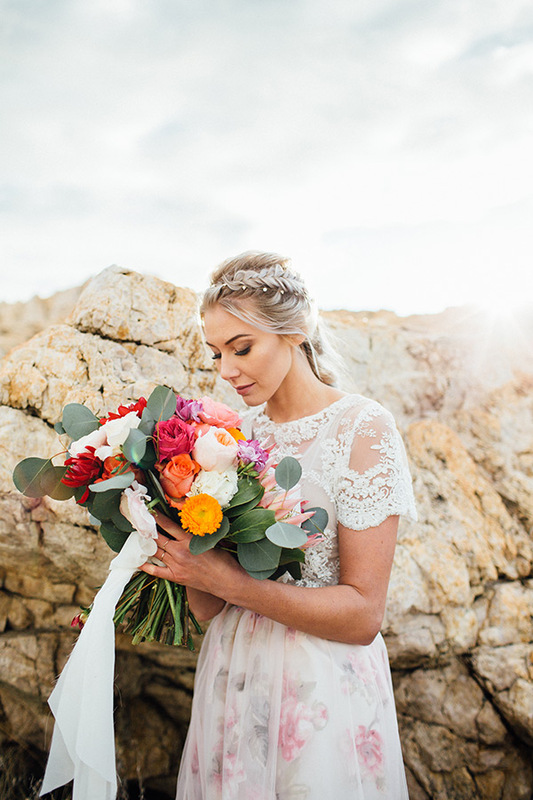 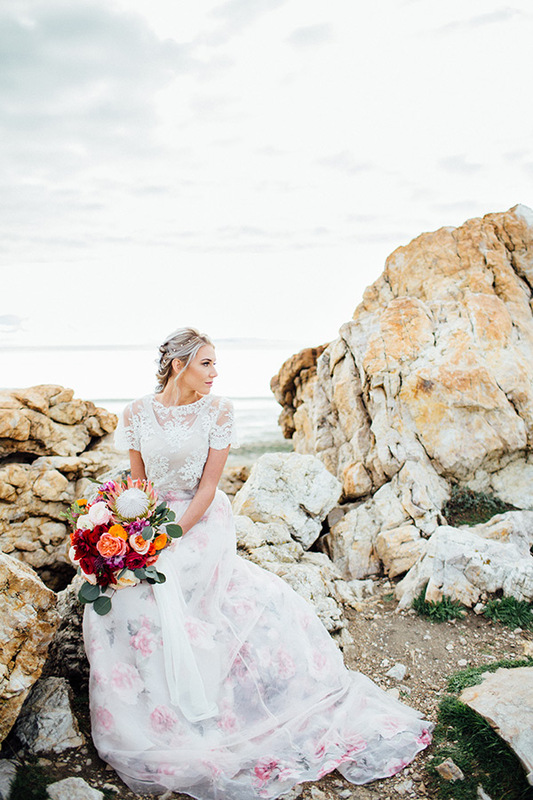 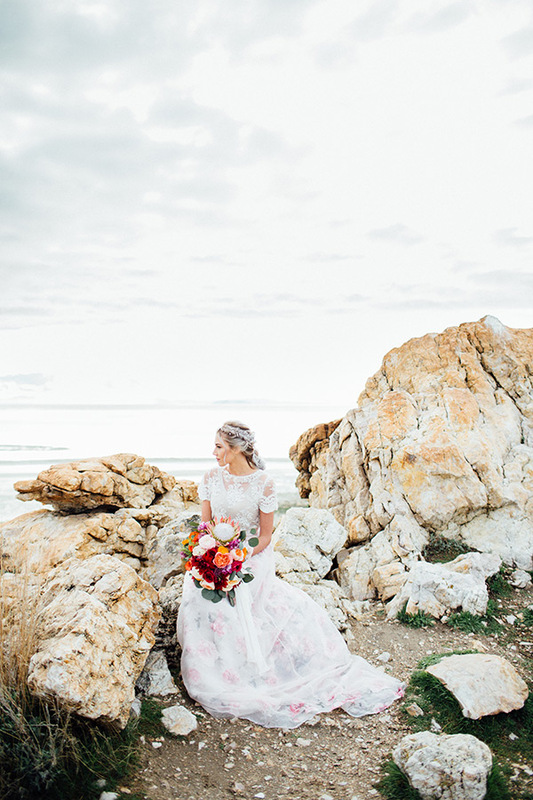 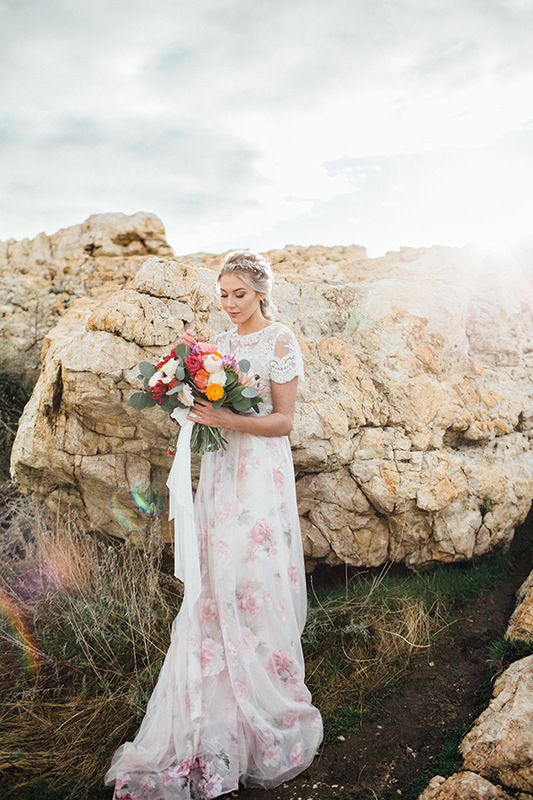 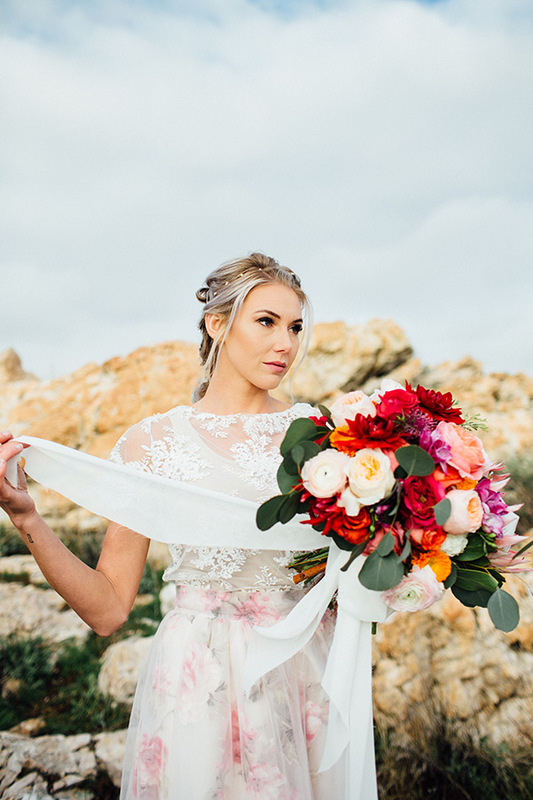 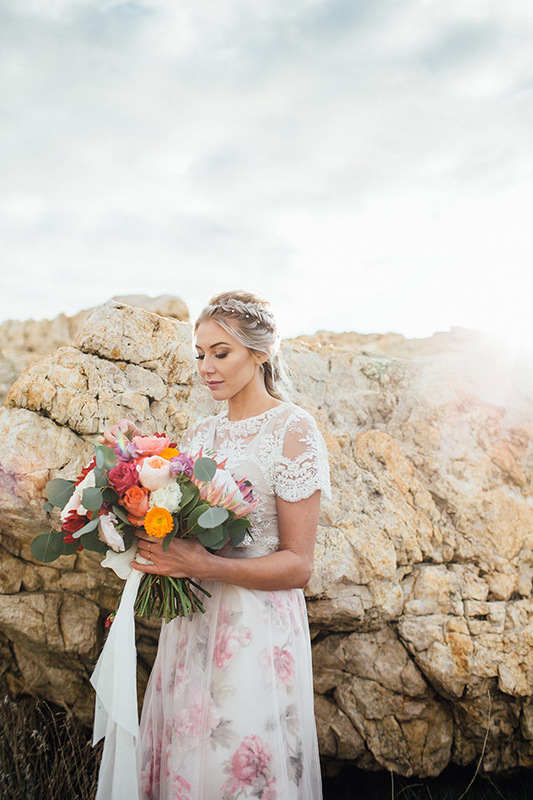 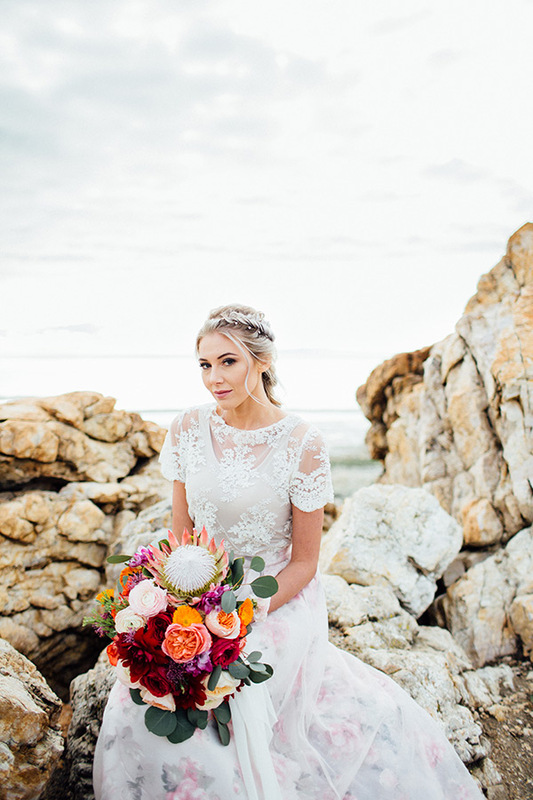 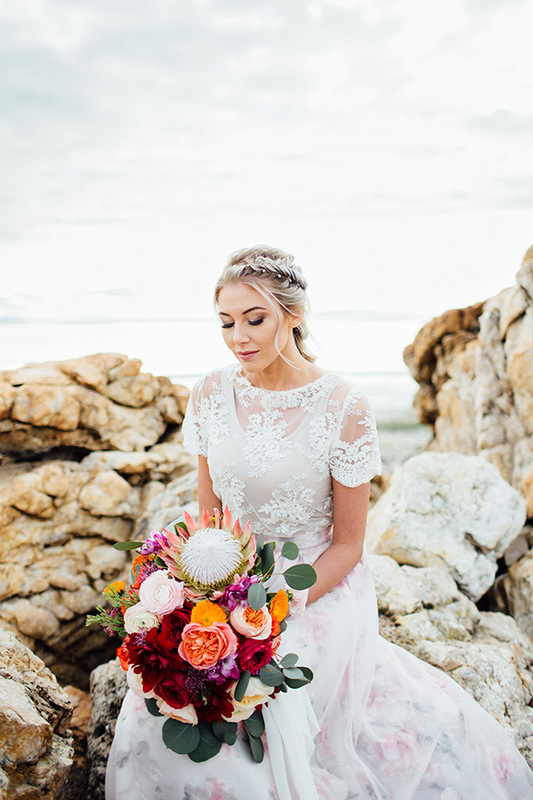 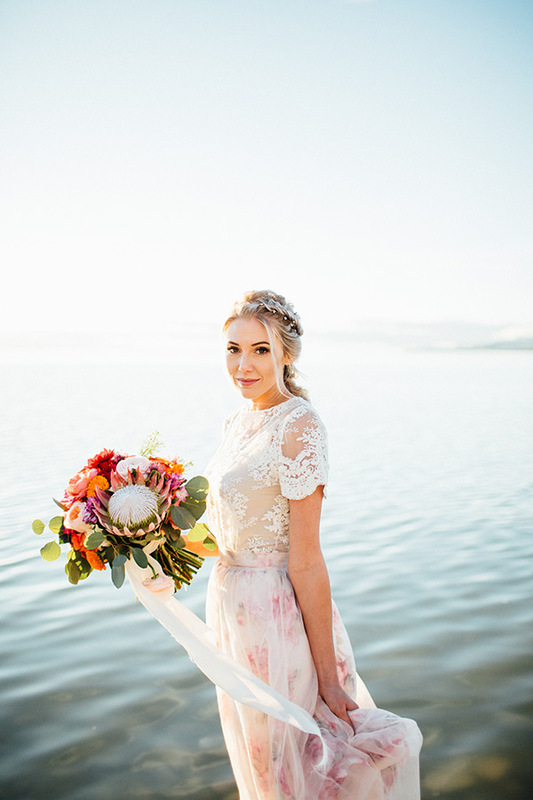 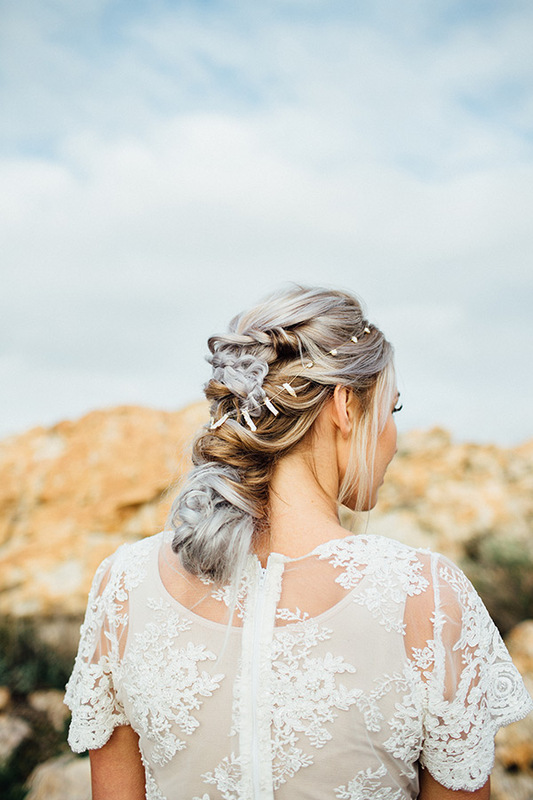 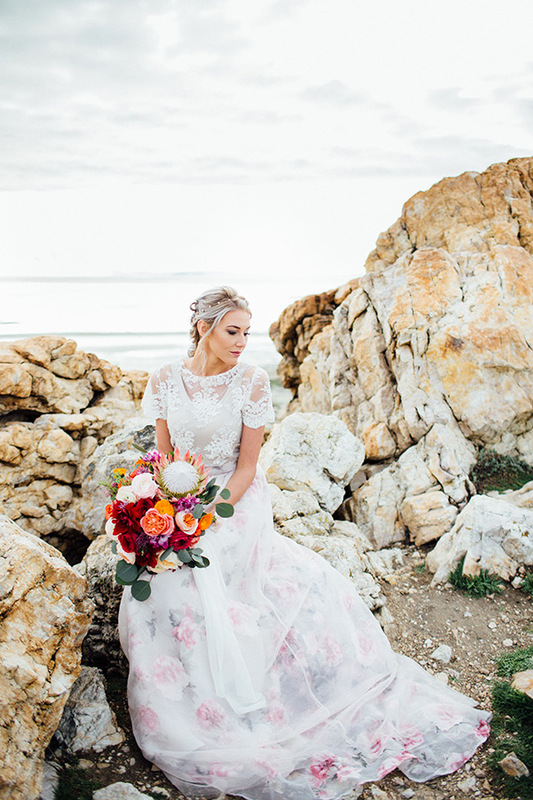 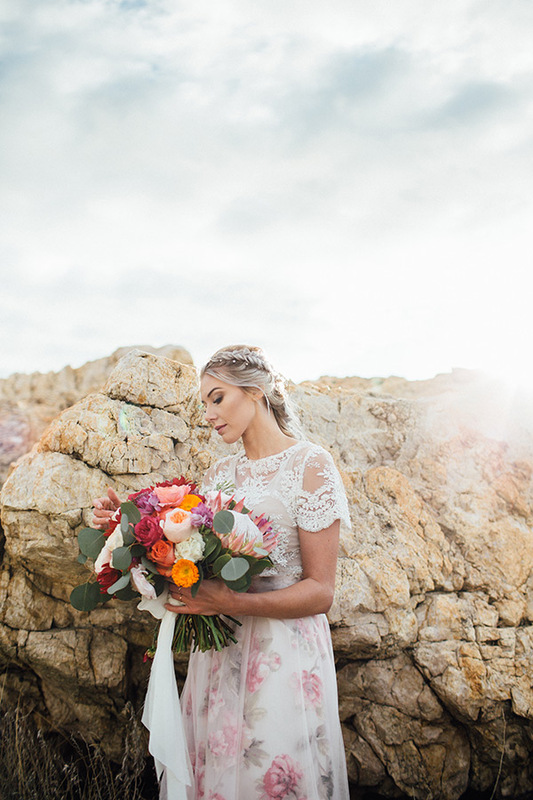 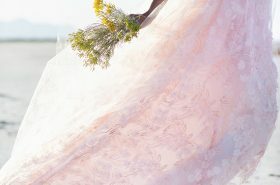 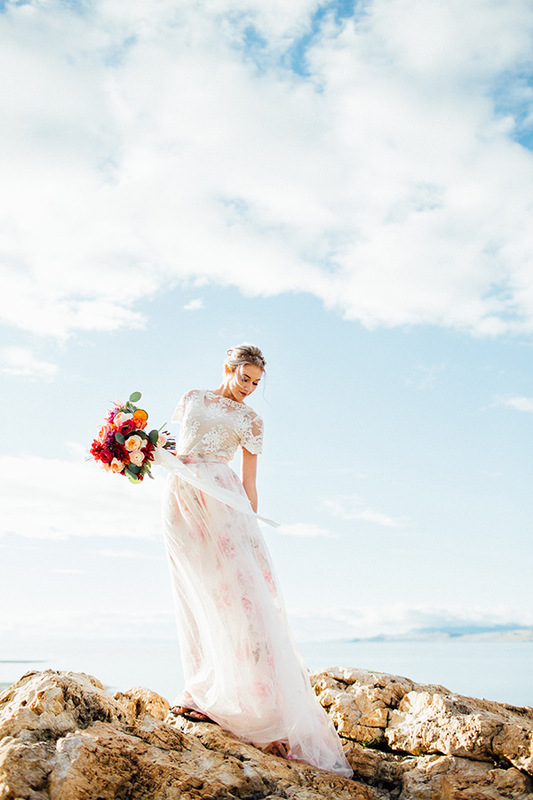 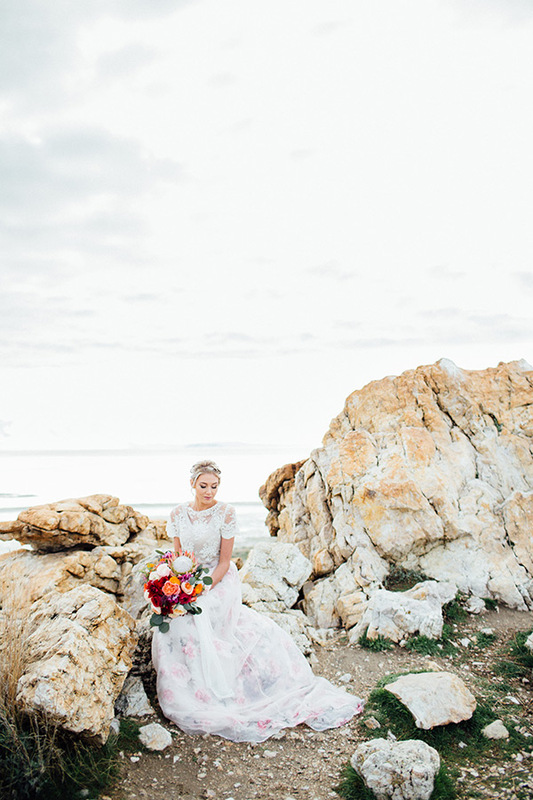 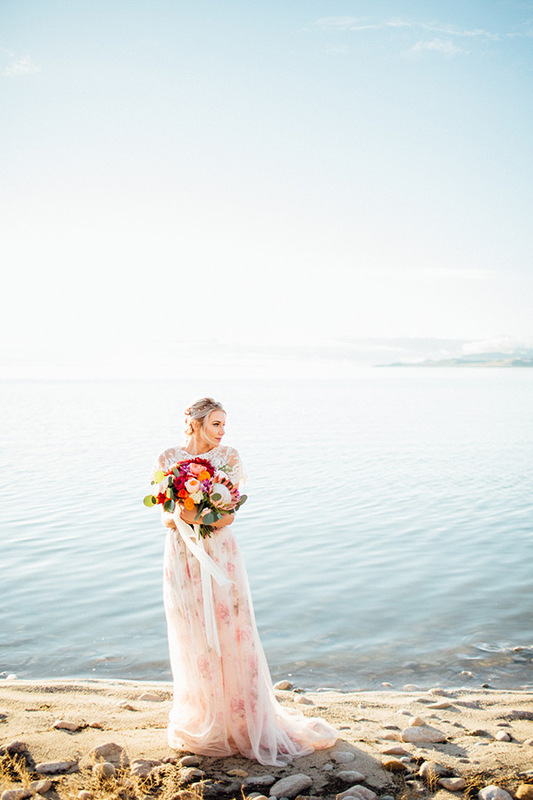 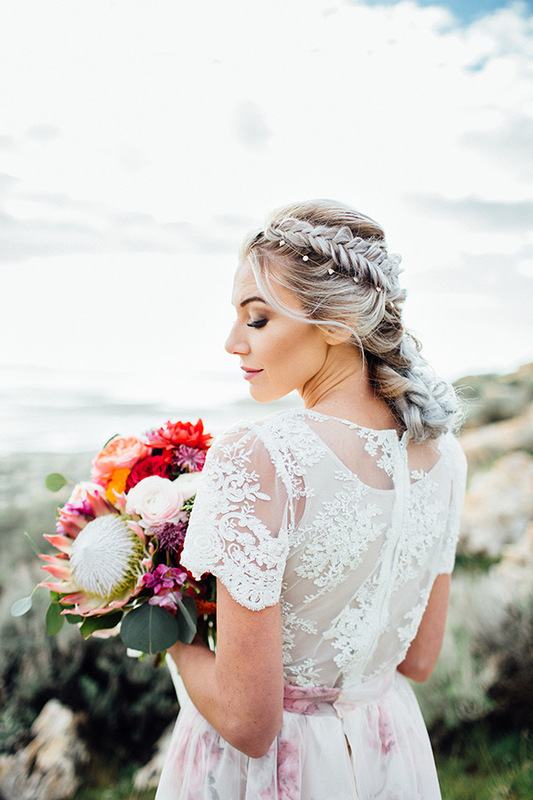 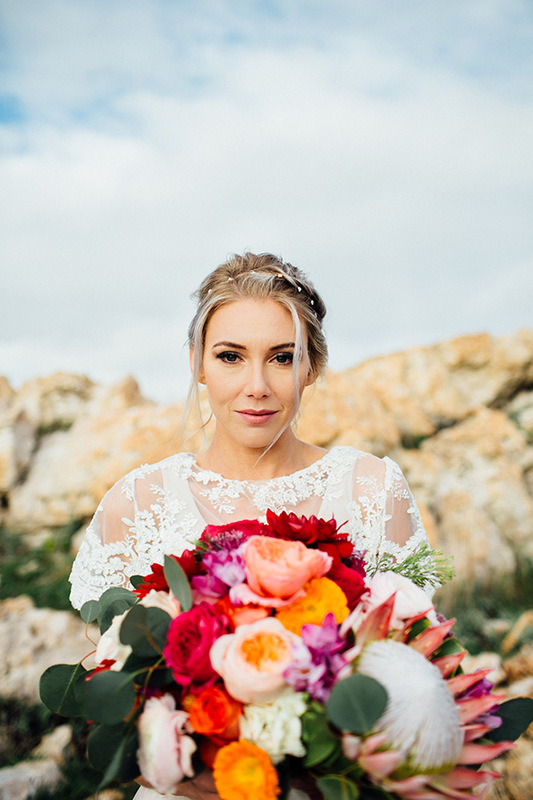 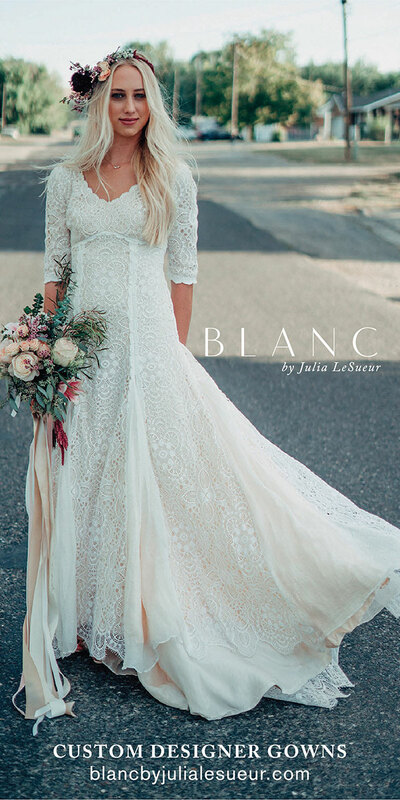 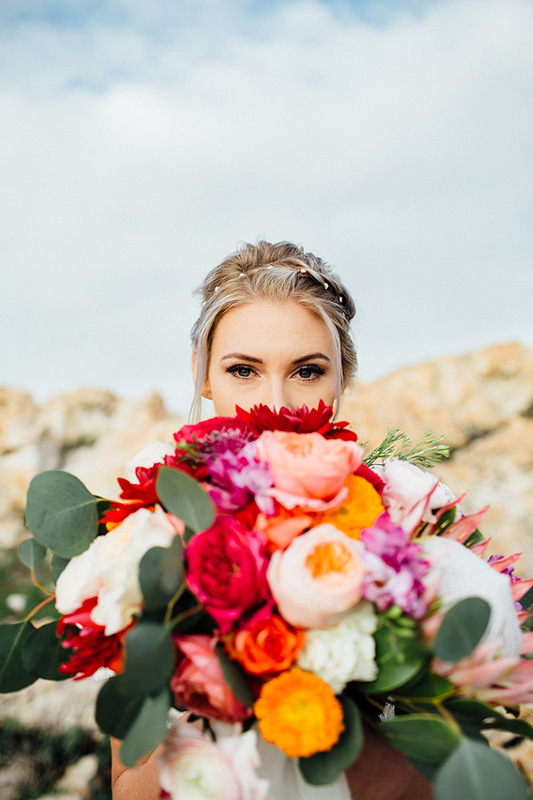 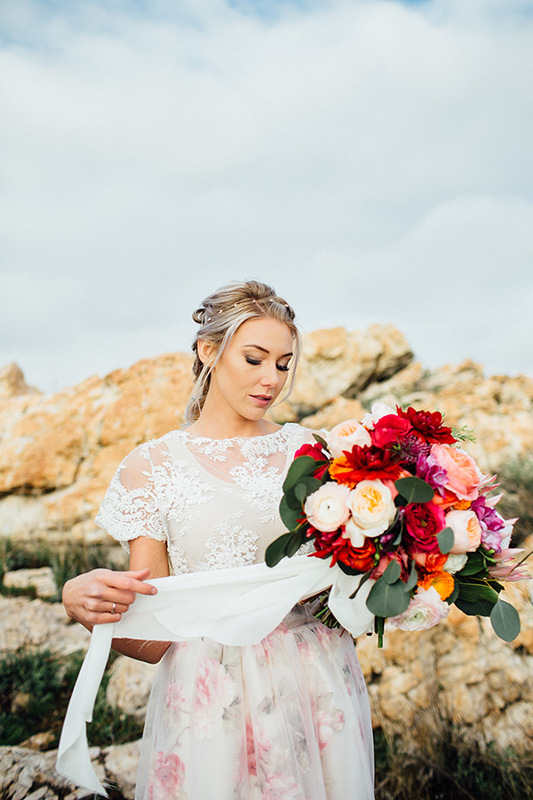 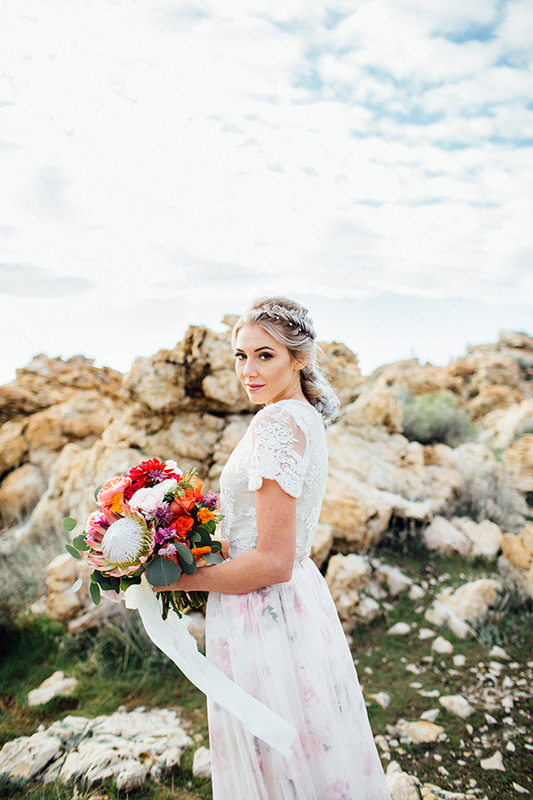 From her floral skirt (an absolute fave around here) to her amazing hair to that burst of color perfection in her bouquet, these bridals are a breath of fresh fun.